If you thought Fashion Week was just NYFW, you're in for a big surprise. The New York shows may have come and gone, but we're only halfway through! These past few days, the fashion in crowd has been gathered in London for some seriously cool runway shows. Burberry did a see now, buy now collection, as did Topshop Unique, and designers experimented with wild shapes, fascinating fabrics, and cartoon character motifs. 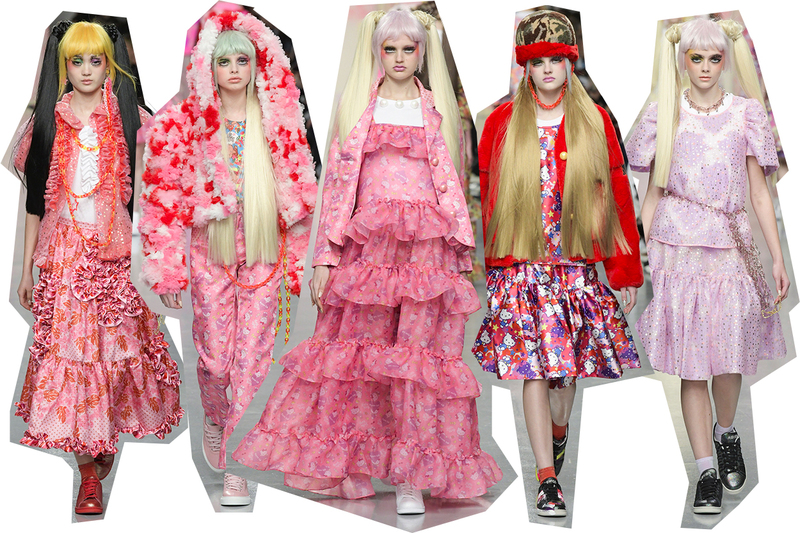 Oh, London Fashion Week, you never cease to amaze! 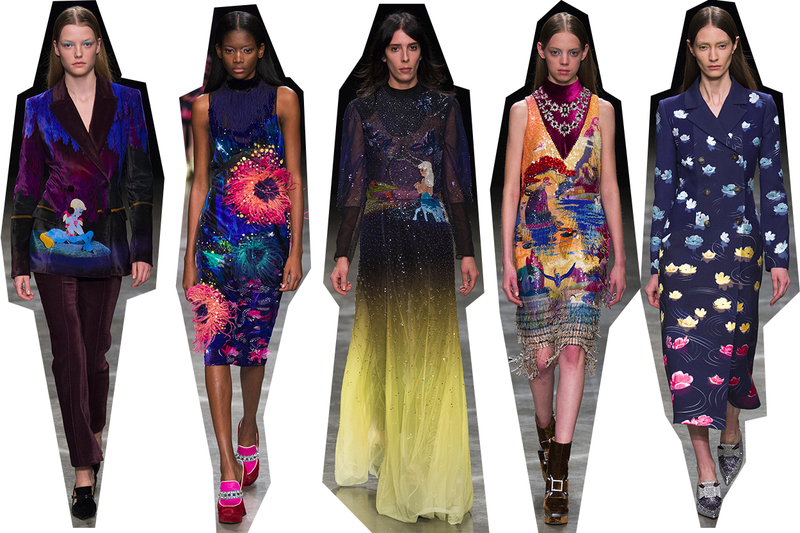 Christopher Kane is always deeply interested in fabrics, textiles, and texture. One can always expect a variety of prints and textiles, but its hodgepodge in the best possible way. The first few looks from the collection were prim and British with a capital B, full of floral furniture patterns in nudes and dusty pinks. That segwayed into spaceship prints and shimmery silks, and further on, the collection was nothing but metallics; metallics for day, for night, for every and all occasions. 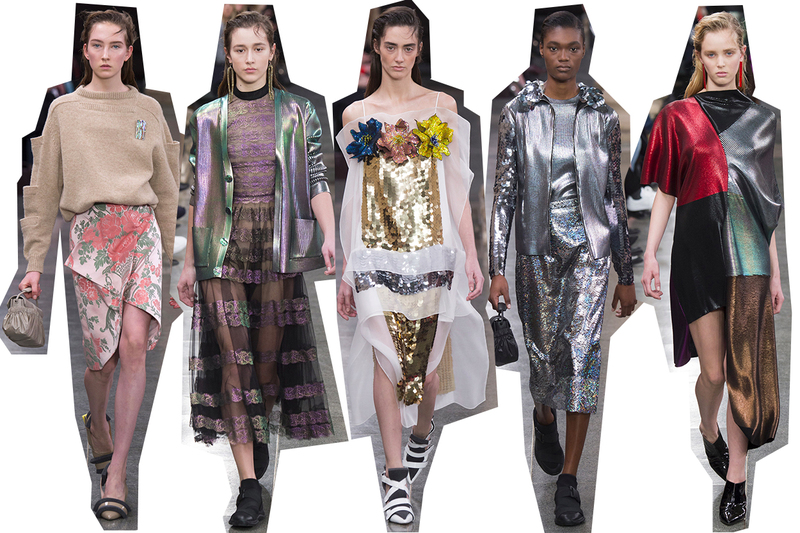 Few designers can pull off such a wide variety of styles in a singular collection the way Christopher Kane can, but he makes it work so wonderfully. One point of controversy: some models wore Crocs, designed by Kane himself, down the runway. I'm all for a "fashion-ugly" shoe (meaning, a shoe that's ugly but in an interesting and artistic way) but Crocs are just an absolute no-go. But from the ankle up, these looks are golden. Let's be real, that neon pink dress is reason enough to adore this collection. 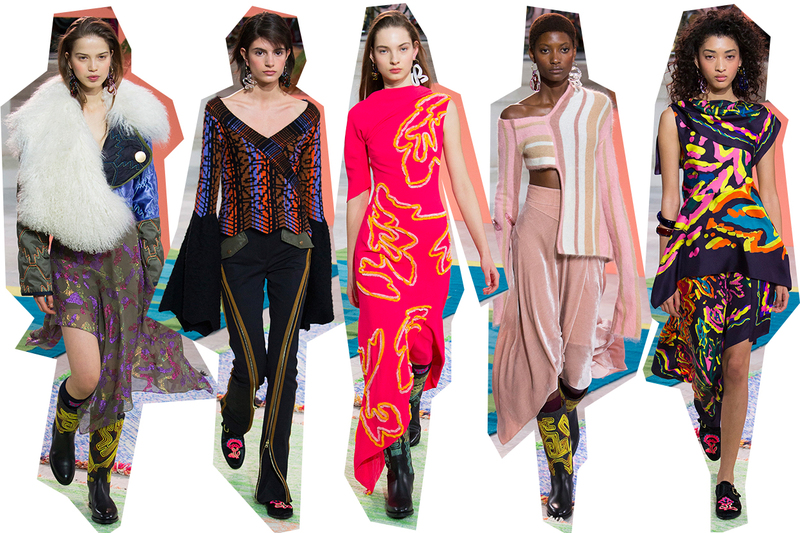 It's classic Peter Pilotto, with the emphasis on lines and bold color combinations, and I think it's just what the fashion crowd has ordered. Asymmetry continues to be a style statement, along with bold sleeves, and patchwork dresses and coats are shaping up to be a real trend for Fall 2017. All three of these trends were on view at Peter Pilotto, but they felt cool and fresh rather than tired. Mary Katrantzou may be the queen of prints and patterns, but this season she delved deeper into the world of illustration and screen printing. The source of her inspiration? The Disney classic, Fantasia. It's a beautifully animated film, and lends itself to artistic and fashion inspiration, especially when in the inventive hands of Katrantzou. The pieces that take screens from the film and transpose them onto dresses and jackets are fun enough, but it's the looks that stylize the Fantasia illustrations into patterns or embellishments that I admire most, and where you can see Katrantzou's talent most clearly. Elsewhere in the world of pop culture as fashion inspiration, Ryan Lo went full harajuku girl with a fun pink collection that featured everyone's favorite cartoon cat, Hello Kitty. Some may argue that the collection borders on too over-the-top sweet, and that may be the case, but since when has over-the-top fashion been a bad thing? There's something to admire with a designer who is so completely sincere with a style vision, and Lo's collections have always been candy-colored and Rococo-inspired. Also, I've always been fascinated with harajuku style, and if there's one thing I've learned, it's that if you aren't going over-the-top with your look, you're doing something wrong. 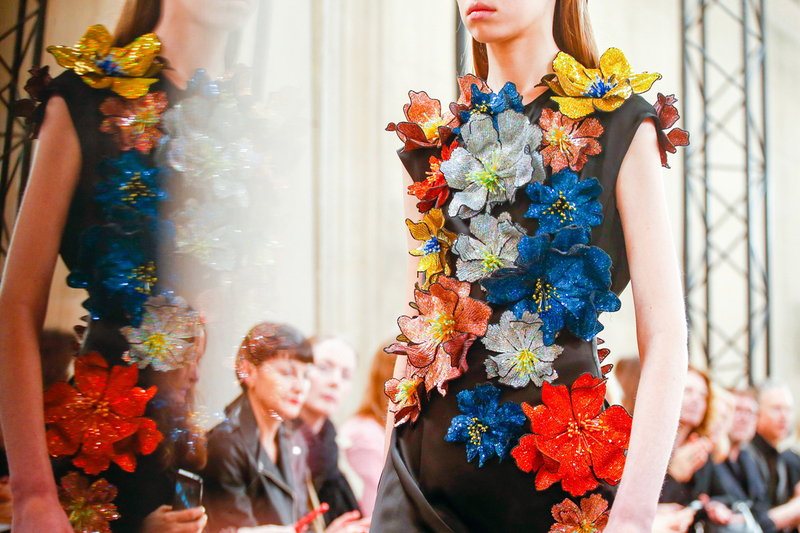 What was your favorite collection from London Fashion Week? The Style Evolution of "Girls"